Empowering the Majority is Critical. Take Action Now by Downloading the Article V Constitution Convention Ballot on this website! If you agree with our mission to replace Trump and America’s bribery-based Republic with a real majority-rule Democracy, please donate to help spread our message to all registered voters so the Democracy Amendment can be ratified by the majority of voters in 38-states. Most Americans believe the USA is already a Democracy, because they hear this Orwellian deception daily from elected officials and all of the corporate news networks. However, the USA is and always has been a lobbyist-based Republic, where all major decisions are made by a tiny number of elected “representatives” who are bribed in secret by armies of lobbyists who write the thousand-plus page bills that virtually no one reads. One does not need a law degree to understand the difference between an Oligarchic Republic and a majority-rule Democracy, only a dictionary. This is why some of the most repressive governments in the world are Republics, including the governments of North Korea, Syria, Iran and Iraq. And few in the U.S. are aware of the only country that is a real Constitutional Democracy that was formalized in the year 1291, in a diverse and remarkable country with four official languages, which has never been involved in a war or “mob rule” for over 168 years, and that country is Switzerland. The U.S. Republic has proven to be catastrophically dysfunctional for the American people, and all life on the only planet in the Universe that sustains life, because it is a government of, by and for the wealthiest individuals and multinational oil, chemical, pharmaceutical and financial corporations, whose lobbyists have allowed them to make vast fortunes by legally mass-producing trillions of gallons of the most toxic chemicals and radioactive poisons known. These chemical poisons are now so “ubiquitous” in the Earth’s global atmosphere that they arrive in the wind and rain, which is why every man, woman and child has been contaminated, including the unborn, who now soak in a witches brew of poisons from the point of conception. This is causing epidemics of cancer, Autism and Alzheimer’s, and even the animals in the Arctic have not escaped this contamination in their blood because of an immutable law in physics called “diffusion,” which occurs every time cream is poured into coffee. It is why “We the People” must Take Action Now. Fortunately, the “Emergency Clause” in Article V of the U.S. Constitution empowers the majority of citizens (i.e. registered voters) to bypass the Congress and State Legislatures in order to pass and ratify Constitutional amendments, in what are called State Constitutional Conventions. And given the 28-word citizen-sponsored Democracy Amendment has already been written and proposed by Harry Braun, this 28th Amendment now only needs be ratified by the majority of voters in 38 States, which will then transfer political power from the lobbyists, political parties and elected officials they bribe, to the majority of registered voters. Our mission is to make money and bribery (i.e., lobbying) in U.S. politics illegal by replacing the bribery-based American Republic and its highly-toxic Oil & Nuclear Age that is rapidly making the Earth uninhabitable, with a real Democracy in 2017. It will then be possible to implement a non-toxic and completely renewable Solar Hydrogen & Cannabis Age in the U.S. and worldwide by 2025, which is discussed below. Once the Democracy Amendment is Ratified, a second verifiable paper ballot will be used to elect America’s first democratically-elected President, Vice President and Members of the new United States Citizens Congress, whose first task will be to make government secrecy and bribery illegal. It will then be possible to immediately hire millions of American’s to “reindustrialize” America around a solar-sourced Hydrogen and Cannabis energy, economic and indoor organic agricultural systems with wartime-speed, so that the use of all fossil and nuclear fuels will be ended in the USA and worldwide by 2025. Please click here for a detailed and well-illustrated report: “The Evidence for Ratifying the Democracy Amendment” by Harry Braun, which includes remarkable references to the Essene Jesus that is documented in the Dead Sea Scrolls, who was a remarkable scientist and naturopathic physician, as well as a true democrat in both the political as well as the economic aspects of life. Harry Braun has produced 2 minute Silver Bullet overview of the Solar Hydrogen Age — as well as a 45-minute Phoenix Project DVD that provides a more detailed graphic overview of replacing the highly-toxic Oil Age with a Solar Hydrogen Age that is poison-free and inexhaustible because it is completely renewable. At the end of the video, after the credits, there is a remarkable ABC News interview by Peter Jennings with John Lorrenzen, an Iowa farmer and hydrogen pioneer who personally built America’s first wind-powered hydrogen home and farm, in spite of the fact that due to his fathers death, he had to quit school in the 6th grade in order to help his mother on the farm. While humans began making hydrogen from water with electricity in the year 1800, all photosynthetic proteins, microbes and green plants have been successfully making hydrogen from water with sunlight for over 3-billion years. Another classic hydrogen video now available on YouTube is about a General Motors car that was modified to use hydrogen fuel by actor Jack Nicholson in 1978. Leonardo DiCaprio has also established a foundation to focus on replacing the Oil Age that is making the Earth uninhabitable with wind and other solar technologies. DiCaprio’s 2-hour “Before the Flood“ production should be carefully reviewed by every American voter ASAP because it documents the Earth’s 6th Mass Extinction event that is now in its final exponential stages, which is why the transition from the highly-toxic Oil & Nuclear Age to a Solar Hydrogen Cannabis Age needs to be undertaken with wartime-speed (i.e., by 2025). Given this State of Emergency, it is now critical to use the “Emergency Clause” in Article V of the United States Constitution to have the majority of voters in 38-states ratify the ratify 28-word Democracy Amendment with State Constitutional Convention Citizen ballots that can be downloaded from this website. While the bribery-based Congress and State Legislatures would never pass or ratify the Democracy Amendment, the “Emergency Clause” in Article V of the U.S. Constitution specifically empowers the majority of citizens to bypass these dysfunctional and bribed elected officials by organizing Constitutional “Conventions” in each state to ratify amendments, when the majority of citizens in three-fourths of the states (i.e., 38 States) vote to approve such an amendment. The FEC-registered Democracy Amendment USA 527 political action committee for the majority, which is specifically organized to establish Constitutional Conventions in all 50 states — by using an Article V Citizen Ballot that can be downloaded from this website. And as per the of Article V of the U.S. Constitution, when a majority of voters in 38 States mail their signed paper ballots to their Secretary of State, where the ballots can be verified, counted, scanned to a data base so voters can independently verify their votes, and archived — the Democracy Amendment will be ratified, at which point America’s Revolution for Democracy that began in 1776 will finally be finished, and the transition to a poison-free Hydrogen and Cannabis Age in the USA can begin immediately. 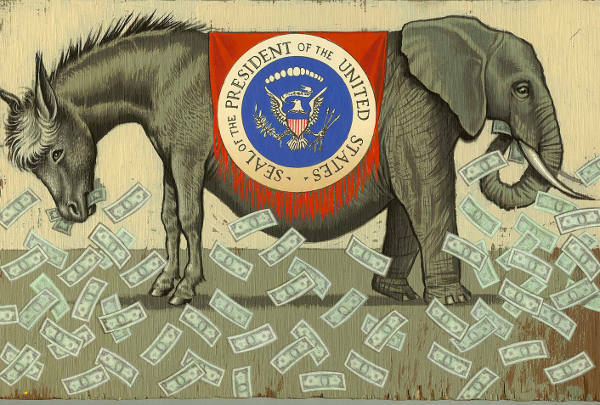 Given the political, economic and environmental State of Emergency that now exists in the USA and worldwide — which scientists refer to as the 6th Mass Extinction in the Earth’s history — it now absolutely critical for the majority of American voters to ratify the Democracy Amendment ASAP so they can take control of the utterly dysfunctional bribery-based federal and state governments. This sense of urgency has been exponentially increased with the unverified election of Donald Trump. The media says Donald Trump just won the latest unverified election — but no one can prove it because the vast majority of votes in 42 states were counted in secret not by the Russians, but by unknown individuals in a private corporation (ES&S) — which is not regulated by any local, state or federal agency. Yet ES&S was never mentioned by the corporate news media, which is largely owned and censored by shell corporations from the Oil Industrial Complex, that includes candidates from both political parties and the major Wall Street Banks, as well as the highly-toxic chemical, pharmaceutical, agricultural and mining corporations, which are now in the final exponential stages of making the Earth inhabitable. Such unverified elections would be illegal in a real democracy. These same media corporations gave Trump — who was already a billionaire — over $5 billion of free media exposure, which was more than all of the other candidates received combined in the 2016 race — which would be illegal in a real Democracy. Please refer to the BraunforPresident.US website to see what America’s first democratically elected president should be focused on once the Democracy Amendment is ratified. 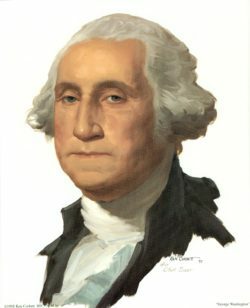 Please also refer to the George Washington link to the right for more details on the non-toxic and renewable Cannabis Economy that was at the very foundation of not just Colonial America — but for all sea-faring civilizations for the past 10,000, years who had to have mastered the cannabis technology for making the ropes, rigging and canvas sails — as well as the food, fuel, and fibers for shoes, paper, and clothes that would last a lifetime. Every voter should absolutely make the time to watch the the BBC production of “The True History of Marijuana“ as well as “All Wars are Bankers Wars“ by Michael Rivero, and A History of U.S. Foreign Policy and Nuremberg war crimes committed by U.S. Presidents, including against North Korea by MIT professor Noam Chomsky, and “Freedom to Fascism“ by Aaron Russo. Given the tyranny of the oil-owned corporate news networks that have censored this information in a classic Orwellian fashion; and given both the Republicans and the so-called Democrats are all bribed in secret by thousands of lobbyists, the majority of voters should ratify the Democracy Amendment with wartime-speed. While Donald Trump has proclaimed he wants to drain the swamp from lobbyists, his secretive corporate dealings with lobbyists represent an unprecedented conflict of interest, given he has repeatedly proclaimed on national television that if he were President, he would use U.S. Armed Forces to steal other nation’s oil so Trump can give it to Exxon, which would obviously involve mass-murdering more people in foreign lands for their oil, which from a climate change and mass-extinction perspective, should be left in the ground. As Braun points out in his 370-page Phoenix Project book and technical publications in the Chemical Engineering and Industry journal, less than 10 million two megawatt wind-powered hydrogen production systems, operating with a 25 percent capacity factor, would permanently replace all of the oil and other fossil and nuclear fuels in the United States. And if one factors in the waste heat savings (i.e. two-thirds of the energy from fossil fuel plants is lost as waste heat) thus less than 3 million 2 megawatt wind systems would be needed, and such systems are no more difficult to mass-produce that the 17 million vehicles made each year for the American market. Indeed, 17 million 2 megawatt wind systems would replace all of the fossil and nuclear fuels now used worldwide. Trump is a technically-illiterate individual and pathological liar who believes he knows more about medical toxicology and atmospheric physics than the National Academy of Sciences, has appointed a cabinet of right-wing billionaires and generals (no scientists or engineers) as they gut what pitiful water and air contamination regulations that were in place, in order to launch a Moonshot program in fracking oil and gas, so-called “clean coal (which does not exist), and Uranium for the Oil & Nuclear Industrial Complex, which are Nuremberg-class crimes against not just humanity — but all life on the Earth, which will exponentially accelerate the global Mass-Extinction Event that is now almost over. Ratifying the Democracy Amendment will end the tyranny of the Republicans and the so-called Democrats who are both bribed by thousands of lobbyists. This is why it is now critical for the majority of American voters to bypass this corrupt Republican system of government and inform their fellow citizens of how Article V provides a Constitutional pathway for the majority of voters to finish the American Revolution for Democracy, which was started in 1776. 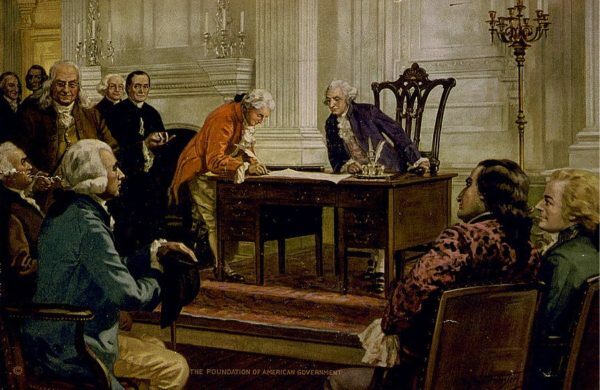 But the Revolution was never completed because the majority of our Founding Fathers had no interest in allowing the common people to have access to — or knowledge of — the political bribery that is done in secret with lobbyists, so they established a Republic instead of a Democracy. Just as Paul Revere alerted his fellow citizens in his day of the mortal danger that approached our country, it is now critical for every American citizen who is aware of our mission, to immediately send whatever contribution they can afford. And as per Article V of the U.S. Constitution, when a majority of voters in 38-states participate in their State Constitutional Convention by mailing their signed Article V paper ballot to their Secretary of State, where the ballots can then be verified, scanned, counted, and archived, the 28-word Democracy Amendment will then be ratified as the 28th Amendment to the U.S. Constitution. A “Universal Mind” of over 60 million citizens will then be in control of the federal government, at which point all things will then truly be possible. Given the oil-company-owned national news networks have refused to make the American public aware of the Article V Democracy Amendment we are advocating, we are very much in need of donations in any amount to help us purchase a full-page advertisement in The New York Times. Taking on the Oil Industrial Complex is a formidable challenge, and as such, we need all of the financial help you can afford to finish America’s Revolution for Democracy that was started in 1776. So if you want to live, empower the majority in order to save Spaceship Earth. Take Action Now, while there is hopefully still time to make a difference.Tell every voter you know about this move on the Constitutional Chessboard, that will empower the majority to complete this Ratification Revolution that is now needed to save the only planet in the Universe that is known to sustain life.